Experiential has many definitions; most importantly it is about connecting people, brands and products through engaging experiences which are emotionally stimulating to the key senses: sight, sound, smell, taste and hearing. Today, consumers need to be 100% confident when buying a product or brand that 'is the right one' for them and also offers good value. The same can be said for the marketer. Through experiential, brands can target smaller, carefully selected audiences enabling unique interactions to build lasting impressions opening their subconscious to the brands further marketing channels. 89% of consumers actually want to try a brand before buying it. 85% agree they would tell others about participating in an event. 85% agree experiential would make them more receptive to other marketing from the product or brand. For each person engaged, they will tell 4 others about a positive brand experience. 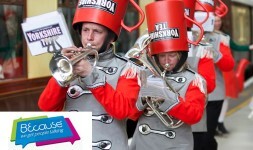 Experiential can also create stand out content that can transfer across other media platforms. What better content than a real life positive brand experience to broadcast across all channels, often also distributed by the consumers through their social media chatter, all of which is measurable and free. With the advances in handheld devices, database management and social media, experiential can be measured both live and post campaign. The Institute of Promotional Marketing has worked with many agencies in order to collate data from campaigns, which has shown excellent results. Many brands now see for themselves and word of mouth gives the campaign huge reach. smp created an exclusive 'femfresh VIPee arena', luxury loos just for ladies at the hugely popular V Festival. Ladies of all ages were able to freshen up with a free femfresh sample taking away one of the worst aspects of the festival experience. 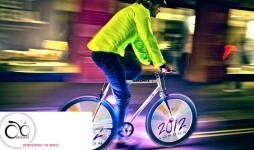 Old Bond's video-bikes use groundbreaking technology to project your brand from bicycle wheels using video and images. Whether spinning or stationary, they offer the ideal opportunity to drive engagement with the public. A celebration of all things Yorkshire Tea. BEcause invited guests, including Michael Vaughn & Louis from One Direction, to enjoy TeaOnTheTrain, to celebrate the joys of a proper brew together. Lucky tea lovers went on a magical journey through the world of Yorkshire Tea abroad the world famous Orient Express.